From the acclaimed author of "The Darlings" comes an incisive, hilarious, and tender exploration of fatherhood, love, and family life through the story of a widower who attempts to become the father he didn t know he could be. Charlie Goldwyn's life hasn t exactly gone according to plan. Widowerhood at thirty-three and twelve-hour workdays have left a gap in his relationship with his quirky five-year-old son, Caleb, whose obsession with natural disasters and penchant for girls clothing have made him something of a loner at his preschool. The only thing Charlie has going for him is his job at a prestigious law firm, where he is finally close to becoming a partner. But when a slight lapse in judgment at an office party leaves him humiliatingly unemployed, stuck at home with Caleb for the summer, and forced to face his own estranged father, Charlie starts to realize that there's more to fatherhood than financially providing for his son, and more to being a son than overtaking his father's successes. 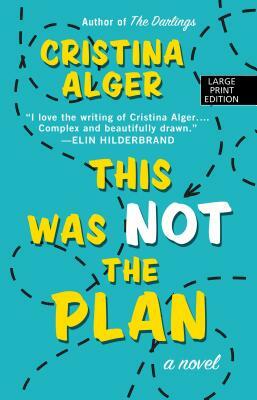 At turns heartbreaking and hilarious, "This Was Not the Plan" is a story about loss and love, parenthood, and friendship, and what true work-life balance means.